Cook over a high heat for about 3 minutes, stirring well until the vegetables are just starting to soften. 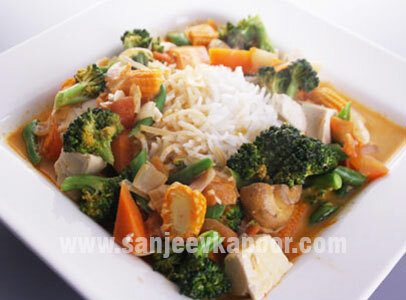 Sprinkle the curry powder into the pan over the vegetables, stir to coat, cook �... Prepare the curry paste by mixing together all of the ingredients in a blender. Blend to a smooth paste. Heat the oil in a wok over high heat and fry 1/2 tablespoon of the green curry paste to release its fragrance into the oil, approx. 1 minute. 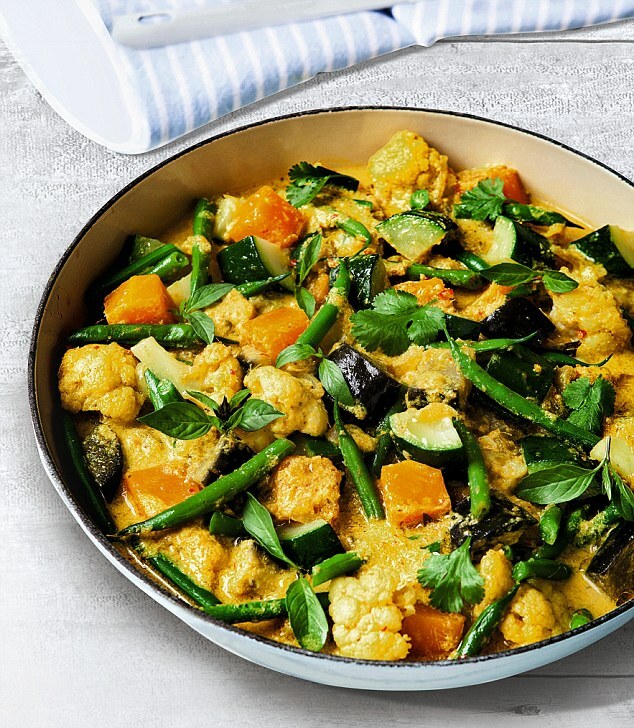 The following recipe is for a very basic vegetable curry with squash, carrot, bell pepper and spinach. If the long list of ingredients seems intimidating, note that most of the ingredients are just the ground spices to make the �curry powder.� You can simplify the recipe by using pre-mixed curry �... Prepare the curry paste by mixing together all of the ingredients in a blender. Blend to a smooth paste. Heat the oil in a wok over high heat and fry 1/2 tablespoon of the green curry paste to release its fragrance into the oil, approx. 1 minute. Add the curry powder, spices and salt and cook, stirring, 1 minute. Add the stock (or diced tomatoes) and chopped cilantro and bring to a simmer. Cover the pot and simmer gently, stirring occasionally until the chicken is cooked through, about 20 minutes.